It looks like Condor Airlines has made a move on their prices from Halifax to Europe. Their hub is Frankfurt, Germany (and typically the cheapest to fly to), but they offer connecting flights to a large variety of countries in Europe. May/June flights look to be the cheapest, with July/August being slightly more expensive. Probably one of my favorite fares they have at the moment is June 4 to 19 from Halifax to Zagreb, Croatia (ZAG) for $774 roundtrip after taxes. 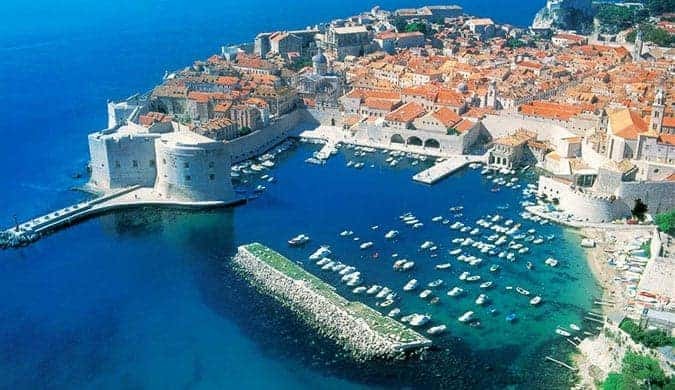 Croatia is usually a very expensive place to get to, and for comparison, the next cheapest airfare to Croatia is on Lufthansa at $1623 roundtrip! Halifax to Frankfurt, Germany on the same dates (June 4 to 19) is currently at $660 roundtrip after taxes. halifax, yhz, flight deals, europe, northern europe, frankfurt, germany, fra, central europe, western europe, condor, austria, munich, muc, prague, czech republic, prg, eastern europe, amsterdam, netherlands, ams, innsbruck, inn, salzburg, szg, poland, zagreb, croatia, zag, balkans, southeastern europe, southern europe, copenhagen, denmark, cph, scandinavia, belgium, brussels, bru, northern countries, paris, france, cdg, berlin, txl, milan, italy, mxp, krakow, krk, warsaw, waw, serbia, belgrade, beg, ljubljana, slovenia, lju, zurich, switzerland and zrh.